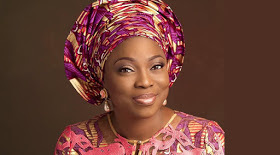 Wife of Lagos State Governor, Mrs. Bolanle Ambode, has said that "zero infant mortality rate. Mrs. Ambode announced that she was taking two transport incubator outpatients to Gbagada General Hospital and Lagos Island. Maternity on behalf of the Committee of Wives of Lagos State Officials (COWLSO). The donation is part of the committee's health intervention project for this year. A transport incubator ambulance is specially designed to convey "premature" babies to standard medical facilities. It is equipped with Intensive Care Unit (ICU). The governor's wife members of the committee were touched by the high mortality rate of pre-term babies, which occurred before they could access intensive care. The transport incubators, according to which, would provide a womb-like environment for the baby with the right temperature and life-saving gadgets to help the new-born hang on life until it gets to the ICU.